When we think of our nervous system, a lot of us tend to think of it as a continuous, connected network that seamlessly transmits information immediately from the experienced sense to the brain and back again. When you step barefooted on a pointy building block at 11:00 p.m. when you’re turning out the lights to go to bed, or you brush your hand against soft fabric while you’re shopping for a coat, the experience is so immediate, it’s easy to think that the neurons transmitting the info from your skin to your spinal column and/or brain and back to your muscles are directly connected to one another. One would think it’s true. Even Camillo Golgi, the scientist who won the 1906 Nobel Prize for coming up with the staining technique to let us actually see neurons, believed the nervous system was just like the vascular system — a continuous, undifferentiated network that had no gaps. In fact, he devoted his whole Nobel Prize lecture to explaining about how the “Neuron Doctrine” — that all our nerve cells are separate and distinct entities — couldn’t be right. His co-winner of the Nobel Prize, Santiago Ramón y Cajal, was a proponent of the Neuron Doctrine, didn’t use his time shooting down his rival, but simply talked about “The structure and connexions of neurons“. History showed who was right — Cajal and others who agreed with him, with their counter-intuitive conviction that our nervous system had to be comprised of separate cells. Indeed, our nervous system is comprised of billions of individual nerve cells (neurons), which aren’t actually in direct contact with each other. Oh, sure, in some cases, the connection is direct — individual neurons can be connected in electrical synapses, where tiny proteins join them at “gap junctions”. 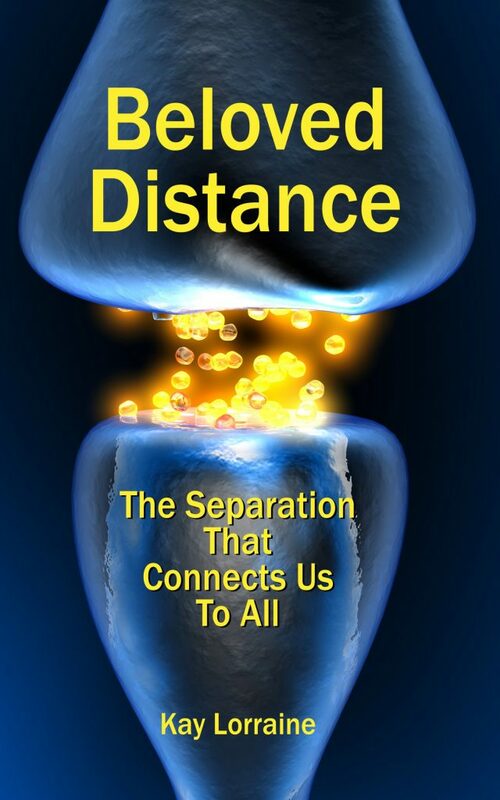 But for chemical synapses (the vast majority of the connections between neurons), there’s a tiny gap that is never actually connected. Think about that for a moment. (It’s fun! I’ve thought about it for a number of years, now, and it never ceases to amaze me.) The vast majority of our nerves aren’t actually in direct contact with each other… Hmmmm… But they still manage to do their jobs getting sensory data — and more — back and forth in a dizzying, complex system of sending, receiving, decoding, and acting on signals. There’s all this electricity… all this chemistry… time, space, quality, experience… kicking of thousands, even millions of interactions, each living moment of our lives. So, what does this have to do with the Holiday Season? See, synapses are the connections — the bridges — which join all our disconnected neurons. And although they may be minuscule, they are incredibly powerful in their ability to connect. They’re built to connect, in fact. Their purpose is to bring together separate entities — axons and dendrites, for example — and get them “talking” to each other. The fact that I’m writing this — and you’re reading it — is evidence of how well they’re working. Even if you’re not totally on board with what I’m saying, the fact that you differ tells us that your synapses are doing their job extremely well. So, yeah. The Holidays. They’re a time when usually separate people come together in season-specific ways — families, friends, co-workers gather for meals and gift exchanges. We reduce the separation between ourselves with parties and get-togethers and reunions, and we connect in ways that are a bit different from our usual means. We build special kinds of “bridges” in the Holiday Season — ways we can be more in sync with each other, exchanging presents to show we care enough to think about what would make someone else’s life a bit better. We donate presents, money, food, clothing, to put joy and comfort just a bit more within reach for complete strangers. In many ways, the Holidays make us about as synaptic as we can be. And those who withhold, who don’t lend their support, are viewed as the exception rather than the rule. Ebenezer Scrooge is a quintessential example of the anti-synaptic human. At the time when the most connections are being created, he refused to participate… until he was brought back in line with a series of disturbing and alarming experiences. Ultimately, he got back in line with the rest of humanity and did his part — even moreso. And there was great rejoicing. The same thing happens in real life — on a micro and macro scale. We see the same dynamics that animate our cells, bringing this time of year to life. There’s correspondence. There’s similarity. Perhaps we feel that so deeply about hour holidays specifically because of the similarities to our most intimate inner processes. In the spirit of the electrical-chemical-electrical sensory transmission process, I wish you the most synaptic of Holiday Seasons. What’s wrong now? Cycling through the agony and the ecstasy of the daily news.